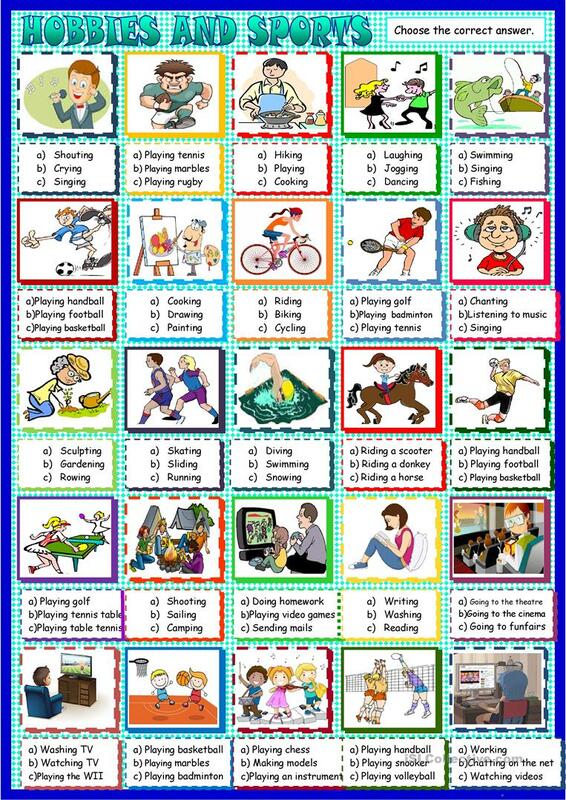 Here is a new simple worksheet to learn or revise vocabulary of sports and leisure activities with gerund forms . can be used as a starter or as homework. Cheers! The above downloadable printable is meant for high school students, elementary school students, adults and students with special educational needs, learning difficulties, e.g. dyslexia at Elementary (A1) and Pre-intermediate (A2) level. It is a useful material for revising Gerunds in English, and is excellent for honing your class' Reading skills. It is about the topic and words of Actions, Hobbies and Sports.